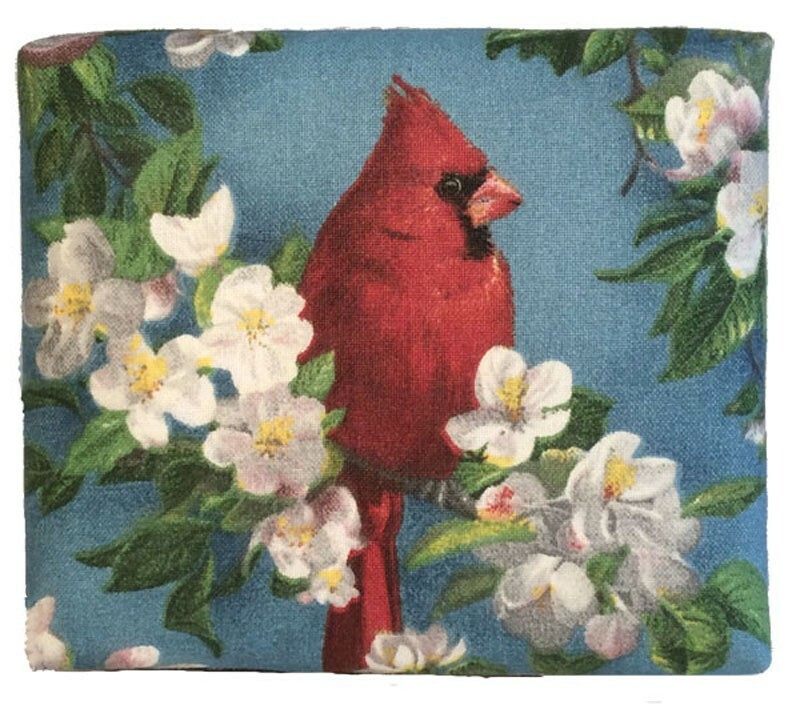 A beautiful cardinal - our mother's favorite bird - perches among dogwood flowers against a blue sky on top of this sweet gift box. White braiding encircles lip of lid, finished off by small golden filigree. 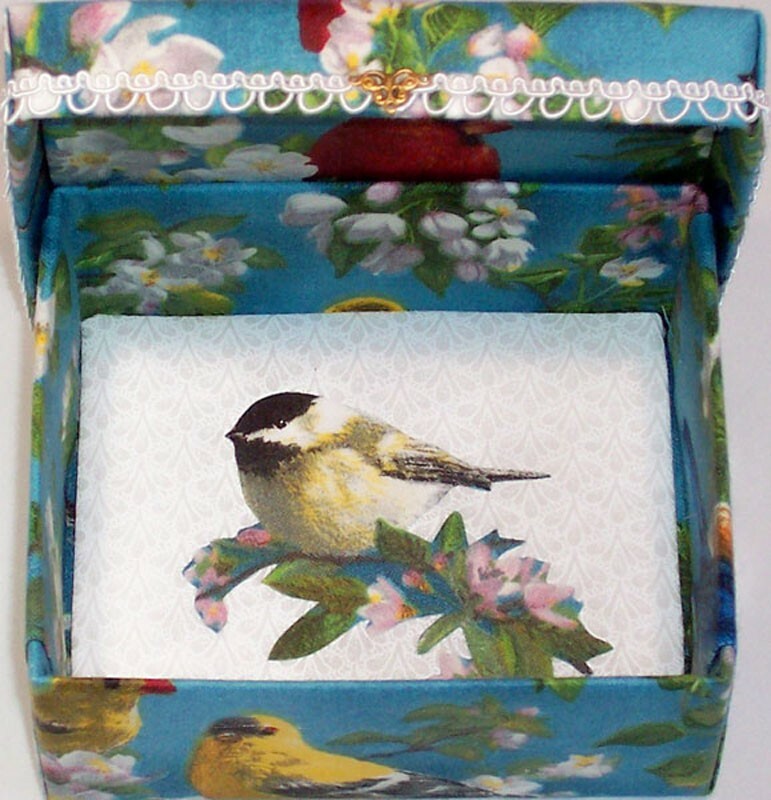 A second cardinal graces the interior top of gift box and a chickadee decal against patterned white fabric covers the padded interior bottom of box. This is a perfect gift box for serious bird watchers and all guardians of backyard bird feeders. Comes in one size only - 4" x 3.5" x 1.5". Delightful treasure box for anyone who loves birds, be they a backyard bird watcher or serious birder. The perfect gift box to hold jewelry or other small treasures.